Who can resist the adorable fat rolls on a cuddly baby? 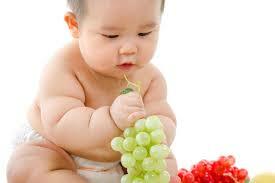 In most cases, an infant’s baby fat gives way to a leaner physique as the child grows and becomes independently active. 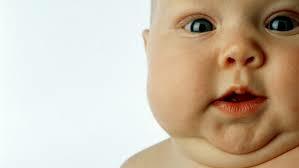 But when a chubby baby becomes an overweight toddler, there is cause for alarm. 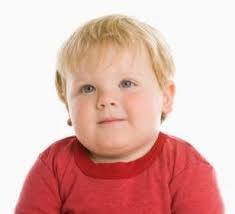 Obese children tend to grow into obese adults with a plethora of health issues that lead to premature death and disability. A recent article published in “Gerontology” lists several adult disorders with a direct link to childhood obesity, including metabolic syndrome, cardiovascular disease, diabetes, vision problems, kidney disease, liver disease, sleep apnea, reproductive problems, asthma, cancer, osteoarthritis and psychological issues. Ironically, many obese children are malnourished, lacking the dietary vitamins, minerals and other micronutrients required for optimal health. Overweight children are less likely to be physically active and may get little exposure to sunlight, leading to Vitamin D deficiency. A diet of fast and processed foods loaded with sugar and chemicals provides calories without meeting nutritional needs. Limited access to fresh fruits and vegetables and inadequate water intake undermines digestive health, leading to constipation, colitis and other digestive disorders. Despite the dismal prognosis for obese children, the results of a recently published Brazilian longitudinal study revealed that obese children who received intervention at an early age were at no greater risk for obesity and its associated disorders in adulthood, than children who were not obese. In other words, helping a child overcome obesity during childhood will protect them from obesity-related disorders later in life. The challenge is to find intervention strategies that work, and that adults are equipped to implement. A longstanding adage states that an ounce of prevention is worth a pound of cure, and there is mounting evidence that childhood obesity begins in the womb. Prenatal education about nutrition and physical activity can play a crucial role in reversing the child obesity trend. Breast fed babies tend to grow into normal weight adults, and children introduced to whole foods at an early age are more likely to maintain a healthy diet as they mature. Working with families to improve nutrition and physical activity habits could be a lucrative niche for fitness practitioners willing to tackle this important issue. Callo, G, et al (2016). Lifetime overweight and obesity and body composition in adulthood: the 1982 Pelotas (Brazil) birth cohort study. Cadernos de Saude Publica,32(4). Kelsey MM, Zaepfel A, Bjornstad P Nadeau KJ (2014) Age-Related Consequences of Childhood Obesity. Gerontology, 60(3). World Health Organization (2015). Why does childhood overweight and obesity matter? Retrieved from http://www.who.int/dietphysicalactivity/childhood_consequences/en/.